When you search for a celeb or a movie title and a page of IMDb pops up in the search. Ever wondered who put that information in there? Who creates those pages or updates these pages? Shrinivas Kulkarni from Pune, Maharashtra is one such person who creates and updates IMDb pages about the Marathi Films and artists. 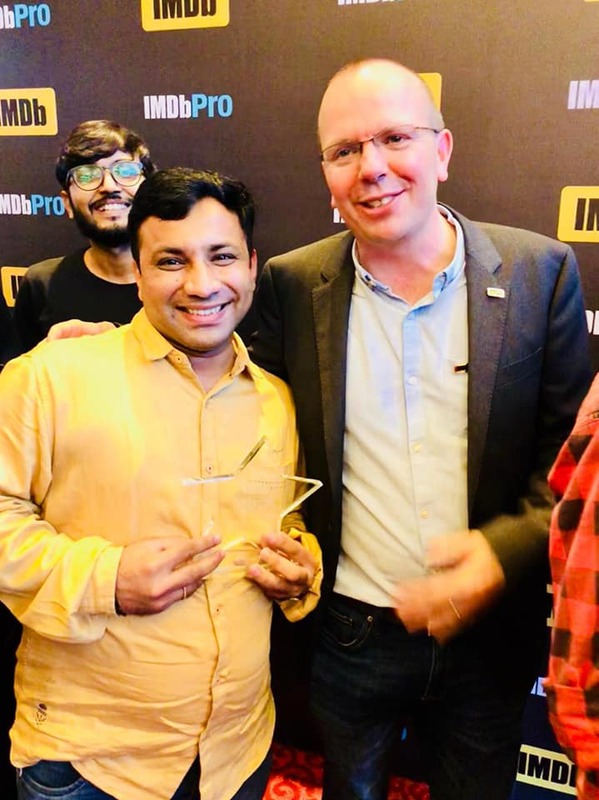 Recently Shrinivas Kulkarni from Pune, Maharashtra received IMDb’s “Star Contributor” Award for contribution towards Marathi Films from IMDb’ founder Col Needham. On this occasion 19 contributors from different states of India were felicitated. Shrinivas started creating Marathi films information for IMDb.com 2.5 years ago. Till today he has created 200 Marathi Film pages and 10 thousand edits for this website. On this award Shrinivas said that he is elated to meet Col Needham and this meeting has given him more energy to do more good work for the Marathi Film Industry. IMDb is world’s no.1 online database about films, television series, web series, short films including artists and technicians associated with entertainment industry around the world. The fans / users update this information across all language movies and content. BUDGET LIVE: 70 लाख नौकरियों का वादा, और भी बहुत कुछ.. पढ़ें..